John W. Moore, Jr., born May 1876, was the son of John W. Moore, Sr. and Delia Warren Moore. He married Elizabeth Lecroy, born October 1882. They lived in the New Salem Community and later moved to Durham. John operated a commissary near the coalmines. John and Elizabeth were the parents of seven children: Carl F., Willis C. (Bill), Mary E., Gordon W., Eva M., Johnnie, and Donnie Moore. Carl F. married Margaret Tinker from Sand Mountain. They were farmers. He worked in the coal mines, and then went to Chattanooga where he delivered produce both locally and long distance. Willie C. married Mattie Stewart. He worked in the coal mines of Kentucky. He also lived for a while in Texas. He died in West Virginia. Mary E. married Grady Short. They made New Salem their home later moving to Chattanooga, Tennessee and then to Texas. He was a mechanic. Gordon W. lived in Chattanooga, Tennessee and was employed by the Cavalier Corporation. He left Chattanooga and went to Houston, Texas. 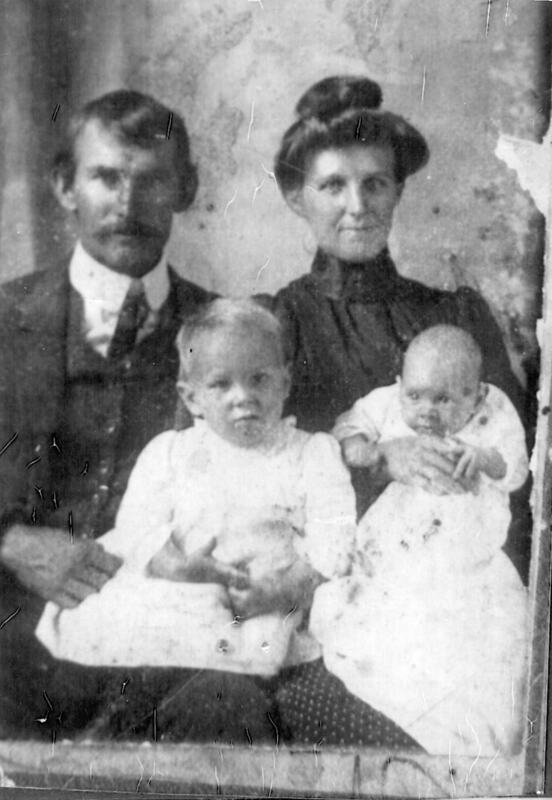 Carl F. Moore and Margaret Tinker Moore were the parents of six children. 1. William Frank (Bill) Moore born 8-30-1922; 2. Goldie Moore died as a young child and is buried on Lookout Mountain; 3. Bulah Moore, born 5-28-1925 and died 5-15-1952. She married Luther Taylor. Bulah and Luther had one daughter, Malissa Taylor. This marriage ended in divorce. Bulah married Everette Farmer. There was one son, James David Farmer; 4. Alton Moore, born on 10-5-1935 and died on 6-4-1991. He married Pearl Milsaps and had one son Gary Moore. They made their home in Chattanooga after leaving Dade County; 5. Ray Moore, born 4-20-1934, married Nancy Brown from Winchester, Tennessee. They had one son, Ray Moore. 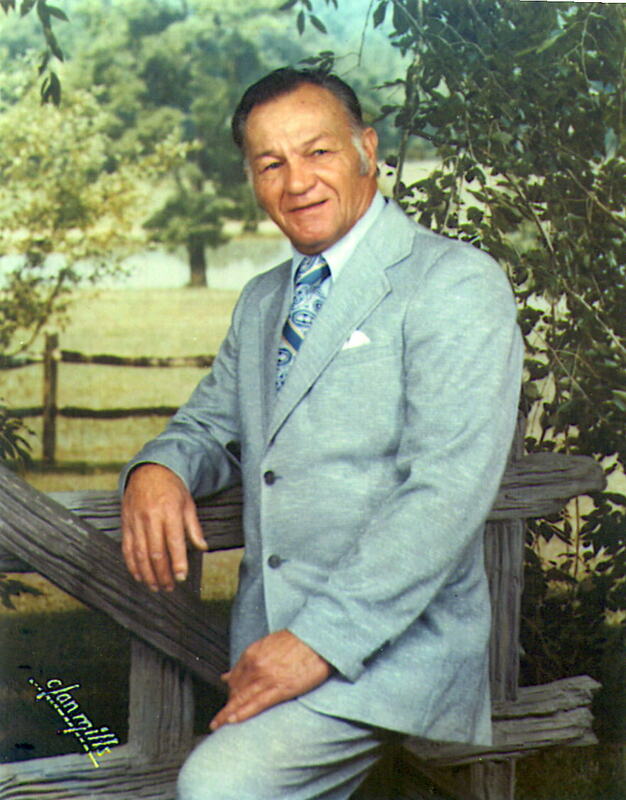 Jr. Ray Moore, Sr. was a life-long resident of Trenton, Georgia. He was an air force veteran of the Korean Conflict and a retired carpenter. He died on October 22, 1992 and is buried in the Trenton Baptist Cemetery; and 6. Louise Moore grew up in Dade County. She married Arthur Kinsey, Jr. from Bryant, Alabama. The children of Arthur Kinsey, Jr. and Louise Moore Kinsey are as follows: 1. Virginia Kinsey, born 5-12-1953, married Jerry Blansit. They have two children: Heather Christine and Terry LeAnna. 2. Doyce Eugene Kinsey, born 11-21-1954, married Sue Bozark, They have two children. 3. Darana Kinsey, born 4-16-1956, married Joe Tipton from Trenton, Georgia. They have one daughter, Renee Tipton. 4. 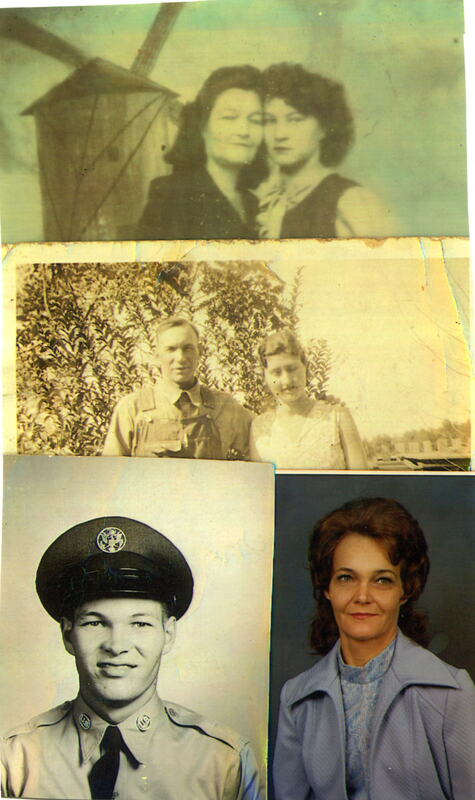 William Lee Ray Kinsey, born 9-25-1958, married twice- first to Sylvia then to Renee. They have no children. 5. John Jefferson Kinsey, born 12-21-1960, married Pam Harmon. Louise Moore Kinsey remarried Haskill Brown from Dunlap, Tennessee. She later divorced. A recent retiree, she makes her home in Bryant, Alabama. Gordon Moore was my g-grandfather. I would really like to learn more about his family and share some information about his. Who are the people in the pictures above? my mother has the one of John & Delia holding the kids on her wall…. I have added the captions. Sorry they were not there before. I have been trying to get the articles ob the site so they can be edited.